The Optiplex 330 desktop PC was designed by Dell for high performance, flexibility and platform stability. This means that it meets the requirements of many companies, but can also be convincing in the private environment. The Optiplex 330 desktop PC was designed by Dell for high performance, flexibility and platform stability. This means that it meets the requirements of many companies, but can also be convincing in the private environment. Innovative functions and additional features, which are based on customer requirements, complete the concept on the whole. In the Dell Optiplex 330, an Intel Core Duo E4500 CPU works to provide you with the right performance every day. For this purpose the processor has 2 MB cache memory and a 2.2 GHz clock frequency. Likewise, 1 GB of DDR2 memory is already included in the PC, whereby an upgrade is possible whenever new requirements arise. 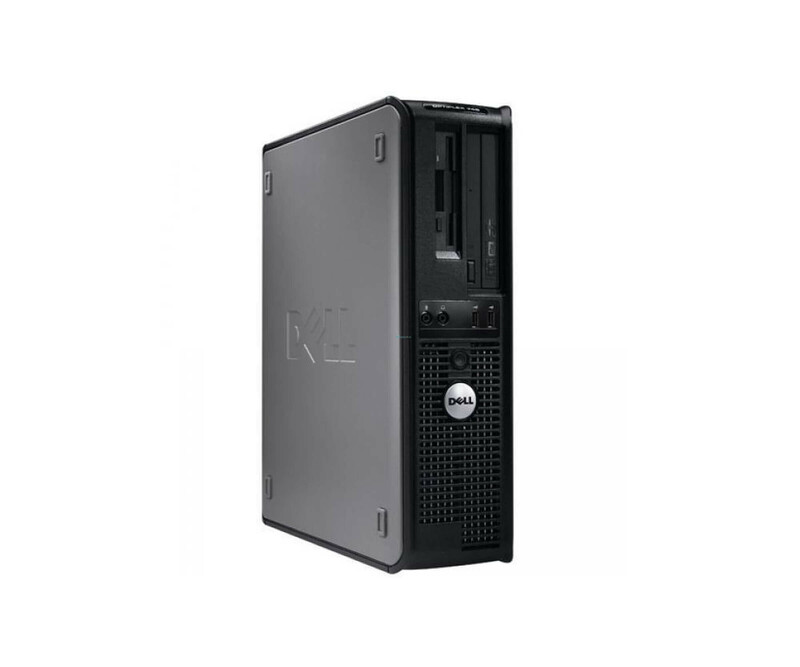 After receiving the Dell Optiplex 330, you can start directly with the connection and the installation of the operating system. Simply use the DVD drive and the 80 GB SATA hard drive. The latter can, of course, be exchanged for a larger model. Similarly, a sound card and an Intel P35 graphics chip are already integrated. You can also put your accessories directly into operation. The eight USB ports of the Dell Optiplex 330, but also a serial and LPT port, help. Thanks to the Gigabit network adapter, a fast connection to the Internet is also possible. However, you can simply connect a screen to the used computer via DVI or VGA.